(Two-Time Emmy Winner Included/Season One of All in the Family) It's hard to imagine the sitcom without the contributions of producer Norman Lear, who used television as a forum for discussing social issues and examining American values in a manner that was timely and honest, yet humorous. 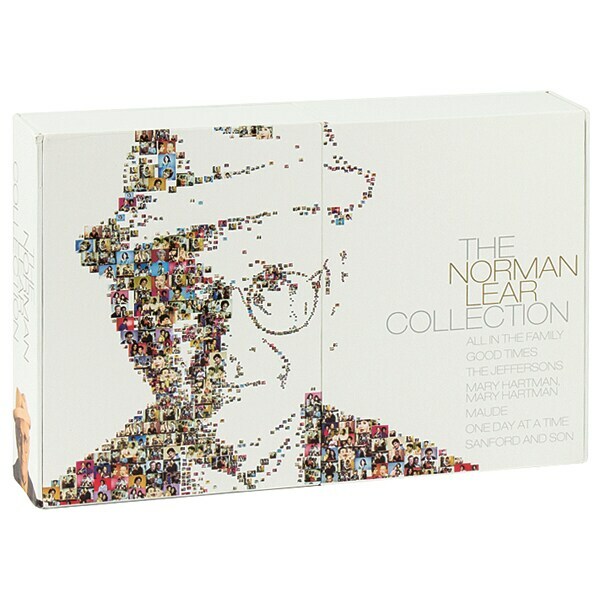 Slipcased in a handsome set and with each of seven classic TV shows housed inside its own booklet, this 19-disc anthology includes the first season and two previously unrealeased pilot episodes of All in the Family—the show that won Lear his four Emmys—as well as the complete first seasons of The Jeffersons, Good Times, One Day at a Time, Maude, and Sanford and Son, plus the first 25 episodes of the cult favorite Mary Hartman, Mary Hartman. Two bonus discs contain contemporary interviews with Lear, outtakes, and behind the scenes featurettes.